Have you heard of it? I’m sure you have. If not, let me tell you about it. Operation Christmas Child is an annual ministry project organized by Samaritan’s Purse that delivers shoeboxes full of goodies to kids all around the world. You pack the boxes, cover the $7.00/box shipping & handling fee, and drop them off at a collection site, and they deliver the boxes to the kids. 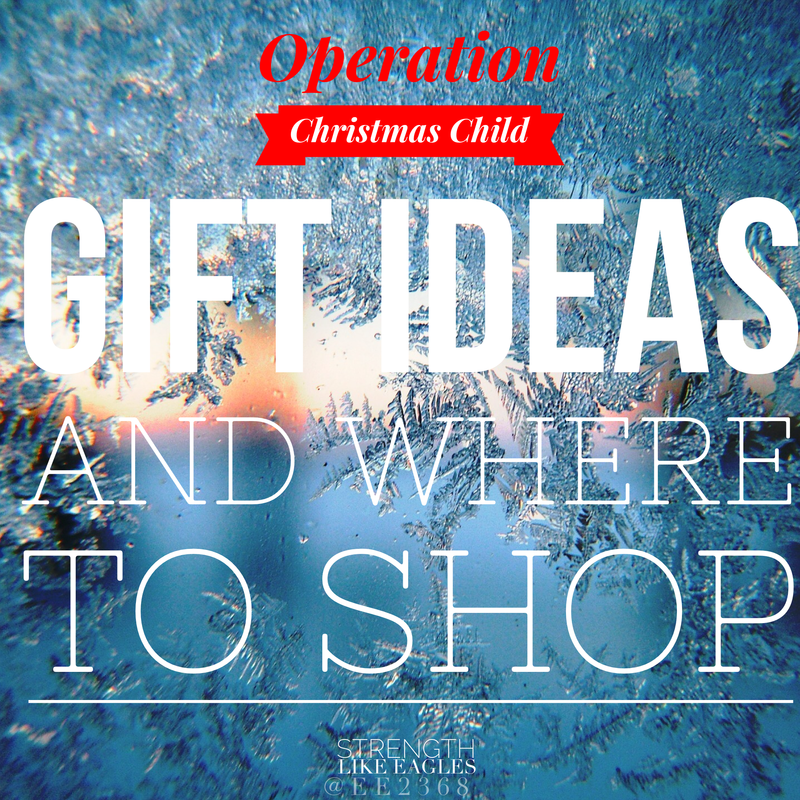 It’s a simple, meaningful way to give to kids in need during the Christmas season. For the logistics, click the following link: Operation Christmas Child. Now for the gift ideas. If you aren’t sure which items you want to include, pick items from each category that correspond to the gender and age of your child. Hope these are helpful to you! *I realize that these may be in English. If you are unsure about this, read my previous post: What Girls Really Need.